At a conference last year, I was approached by an audience member after my talk. He thanked me for my observation that it’s unrealistic to expect investors to do nothing in the face of a sharp market-wide selloff, and that pulling out of the market can sometimes be the right thing to do. In fact, this savvy attendee converted all of his equity holdings to cash by the end of October 2008. He then asked me for some advice: “Is it safe to get back in now?” Seven years after he moved his money into cash, he’s still waiting for just the right time to reinvest; meanwhile, the S&P 500 earned an annualized return of 14% during this period. Investing is an emotional process. Managing these emotions is probably the greatest open challenge of financial technology. Investing is much more complicated than other chores like driving, which is why driverless cars are already more successful than even the best robo advisers. Despite the enthusiasm of tech-savvy millennials—the generation of investors now in their 20s and 30s who are just as happy interacting with an app as with warm-blooded humans—robo advisers don’t take into account the limits of human cognition; they don’t make allowances for emotional reactions like fear and greed; and they can’t eliminate blind spots. Robo advisers don’t do emotion. When the stock market roils, investors freak out. They need comfort and encouragement. During last August’s stock-market rout, Vanguard Group told The Wall Street Journal it was “besieged” with calls from jittery investors and had to pull volunteers from across the company to handle the call volume. But what if a robo adviser could identify the precise moment you freak out and encourage you not to sell by giving you historical context that calms your nerves? Better yet, what if this digital adviser could actively manage the risk of your portfolio so you don’t freak out at all? Imagine if, like your car’s cruise control, you can set a level of risk that you’re comfortable with and your robo adviser will apply the brakes when you’re going downhill and step on the gas when you’re going uphill so as to maintain that level of risk. And if you do decide to temporarily take over by stepping on the brakes, the robo adviser will remind you from time to time that you need to step on the gas if you want to reach your destination in the time you’ve allotted. Instead of artificial intelligence, we should first conquer artificial emotion—by constructing algorithms that accurately capture human behavior, we can build countermeasures to protect us from ourselves. Robo advisers have great potential but the technology is still immature; they’re the rotary phones to today’s iPhone. Marvin Minsky, the recently deceased founding father of artificial intelligence, summarized the ultimate goal of his field by saying that he didn’t just want to build a computer that he could be proud of, he wanted to build a computer that could be proud of him. Wouldn’t it be grand if we built a robo adviser that could be proud of our portfolio? 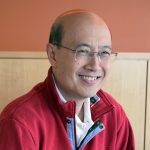 Andrew W. Lo is the Charles E. and Susan T. Harris Professor at MIT Sloan School of Management, director of the MIT Laboratory for Financial Engineering, principal investigator at MIT Computer Science and Artificial Intelligence Laboratory, and chief investment strategist at AlphaSimplex Group. Sites like Kickstarter and Indiegogo have long allowed individuals to support start-ups in exchange for pre-buying a ticket or early prototype of a product, but not for equity. Accredited investors—with a net worth of over $1 million or who earn over $200,000 a year—have their own platforms and can invest in companies through sites like AngelList. However, new rules enacted last May allow average people to invest in start-ups through crowdfunding sites that reward investors with equity. The rules usher in a new era of crowdfunding that is accessible to individuals of all economic backgrounds. As part of the federal JOBS Act,Title III rules allow everyday investors the opportunity to share in the returns of the “next big idea.” This week, (Monday, July 18) for example, a new equity crowdfunding site, Republic, launched with a curated set of projects and companies that include women-founded startups such as Farm from a Box and minority-owned companies like Youngry. In his new book, Superpower, Eurasia Group’s Ian Bremmer suggests three strategic options for America to remain a global superpower. But while many lawmakers appear to be taking his preferred option of an “Independent America” to heart, we believe it’s the wrong choice. In fact, Bremmer leaves out a fourth approach that we feel is the best strategy for America to win not only on the current global chessboard, but on the next one as well. With the US reluctantly being drawn back into putting out fires in the Middle East, warily watching Russian aggression, facing a stop-and-start “Asia pivot,” and on the sidelines the Greek crisis unfolds or Chinese stock markets go through turmoil, reviewing these options is timely for President Obama; they may be even more important for his successor. Rather than dipping too deeply into the tax break tool box to attract new business, state and local governments might do just as well to make their local skies more friendly. Some research I’ve recently completed suggests that the easier it is for venture capitalists to travel by air, the better the companies in which they invest do. When my colleagues (Shai Bernstein at Stanford University and Richard Townsend at Dartmouth College) and I analyzed what happened when new airline routes were introduced that reduced the travel time between venture capitalists and companies in which they had invested, we found a robust result: the travel time reduction leads to an increase in innovation as well as a greater likelihood of an IPO. Moreover, the greater the reduction in travel time, the stronger the positive effect on portfolio companies. Our results indicate that VC involvement is an important determinant of innovation and success. Far from just sitting back to see if their investments pay off, venture capitalists tend to be active investors. They want to be up close and personal with their companies. Better flight connections that enable them to do so lead to greater company success, we found.